A total of 181 holes for 15,345m have now been drilled to date across three primary targets of Grandao, Reservatorio and NOA. Savannah Resources (LSE:SAV,SWB:SAV) has released further encouraging results from the ongoing reverse circulation (‘RC’) and diamond drill (‘DD’) programme at the Mina do Barroso lithium project, located in Portugal. A total of 181 holes for 15,345m have now been drilled to date across three primary targets of Grandao, Reservatorio and NOA. Savannah is a diversified resources group with a portfolio of energy metals projects including lithium; copper and gold. 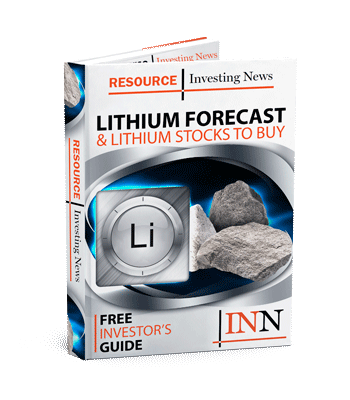 “The drill programme continues to deliver encouraging results, which will go towards further increasing what is already the largest spodumene lithium mineral resource Estimate in Western Europe. We are upping the drilling tempo with the addition of a third rig and drilling, which commenced a little under one year ago, now totals over 15km in length and constitutes one of the most intensive drill programmes undertaken in Portugal in recent years,”Savannah’s CEO, David Archer said.